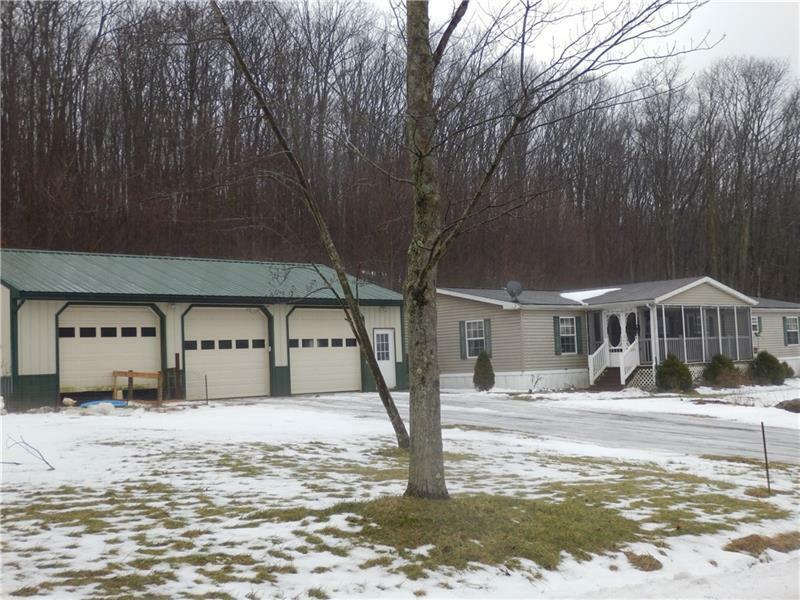 Country living on your private 5.32 acre lot with a large 27 X 76 double wide home with a screened in front porch and a small rear deck. Total square footage is 2,052 that also offers a first floor laundry with a rear mud room and a detached 30 X 44 pole building 3 car garage. 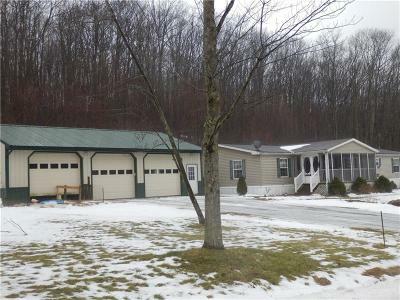 Also on the property is a mobile home 1971, 12 X 61 2 br, 1 bath.used for storage with water,sewer, updated electric . Absent is the heating system, duct work is there. Very open concept interior with a large master bedroom and bath, formal dinning room and living room with vaulted ceiling, and large closets. No longer titled as a mobile home, it part of the deed.